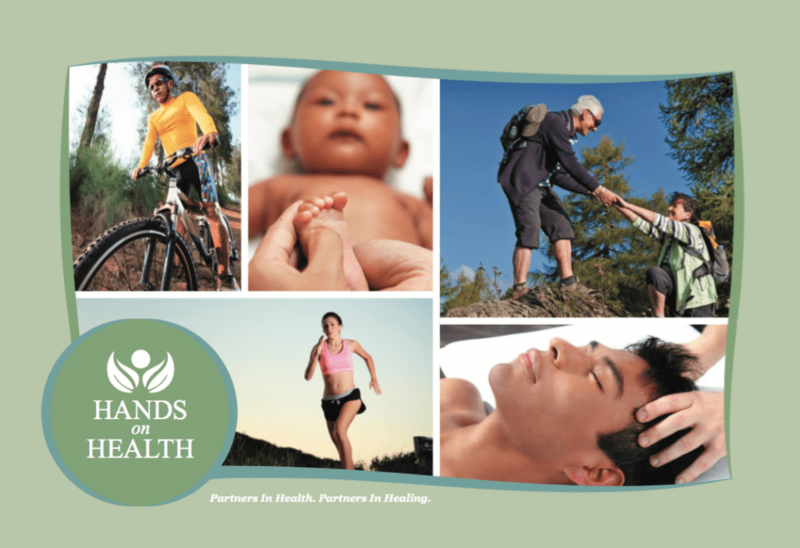 Recognized by medical professionals throughout the greater Triangle area, the Hands On Health team serves clients that demand a sophisticated level of massage expertise for therapeutic and medical purposes. Hands on Health massage therapists in Cary NC are highly experienced and educated professionals. At our practice, they are empowered to continually expand their individual talents and specialties. Our cohesive team of therapists have all participated in I-NMT Training — a comprehensive medical massage technique focused on an integration of neuromuscular & myofascial massage specialties. *20% off these session prices for first visitors & 20% package savings are available for all visitors. Although less specific than medical massage, deep tissue maintains the same purpose; to contact the deeper layers of soft tissues and assist their function and quality of range of motion. Deep tissue is often used in combination with deep Swedish or myofascial techniques, thus allowing the therapist to cover the whole body during the session. This rhythmic, flowing massage promotes deep relaxation and blood circulation. Commonly known as Swedish massage, this technique helps promote a sense of connection from head to toe, stress reduction, and deep sleep. The intent of relaxation therapies is to assist your body and mind by allowing it to recover from daily or sustained stress. Think of these sessions like a reboot for your body. Each session can be customized for your preferences: pressure variants from light to deep, lowered lighting, heat packs or cold compresses, soothing music, and the art of the massage. Take a moment to ask yourself what relaxation looks like to you and share this with your therapist. Mothers-to-be use massage to ease the many discomforts of pregnancy and to add to the bonding relationship between mother and child. Our trained therapists can massage mothers safely with no harm to the baby. As in the image above, we offer a variety of props and pillows for comfort during pregnancy massage. Our center provides options for face down with pregnancy cushions or side lying with pillow support. Our therapists are familiar with Doula labor support and we can connect you with a Doula who provides parents-to-be advocacy, support, and encouragement during the birth of their baby. * Save 20% by purchasing a package. First time visitors save 20% off one session. To read more about pregnancy massage and doula labor support, visit these websites:www.nurturingthemother.com and www.dona.com. Hot stones can be used in combination with deep tissue and Swedish technique. Hot stones help soften connective tissues, allowing the practitioner greater ease into trigger points. Hot stone massage can also be used as its own separate modality as a means to deep relaxation. Many of our clients attend their sessions together, often treating each other on special occasions to massage in the same room or in separate rooms before heading out for a celebratory meal. Reflexology is a gentle foot and hand pressure therapy and its application produces a physiological effect on the body’s nervous system called the relaxation response. The relaxation response counteracts the effects of stress produced by activities of daily living; the response calms the mind, softens the body, and gentles the bodymind toward a balanced state of homeostasis, the state of optimum physiological function in the body. Presently, there is not enough research to state whether pressure points in the foot produce direct reflex responses in their corresponding organs and glands. However, the benefits to one’s overall health and prevention of disease by inducing the relaxation response via reflexology are well researched and documented. The bottom line is foot reflexology feels good and calms the entire body into a deep state of relaxation, setting the body on a course back toward health and well-being. Learn massage tips for loved ones from the experts. Book a private class where you and a loved one work with one therapist to customize a home massage for each other. First Time Visitors Special. Save 20%. CALL US FOR DETAILS, 919.854.9555. How long you will receive massage on the table: At your first session, expect a longer consultation and for returning clients expect that 5-10 minutes of your chosen session time will include time for check in, check out, and consultation. Because initial evaluations are often lengthier than later sessions, a 90-minute initial session is recommended (if available) for complicated medical massage cases. Share your savings packages with friends and family and help them get better and stay well! Packages are transferable but non-refundable. Gift Certificates & Packages expire after 1-year. Keep in touch by joining our NEWSLETTER LIST and FACEBOOK PAGE or stop in for one of our Drop In & Discover classes or workshops. Standard service rates and packages apply for all Staff Therapists and not for owners Tammy Campbell and Laura Landsiedel. Appointments booked with owners are not eligible for discounts and will be charged at full price.